3-D Monster: Breaking Bad Blue Meth Donuts! Rebel Donuts of New Mexico (where the show is filmed) recently released a line of "Breaking Bad Donuts". 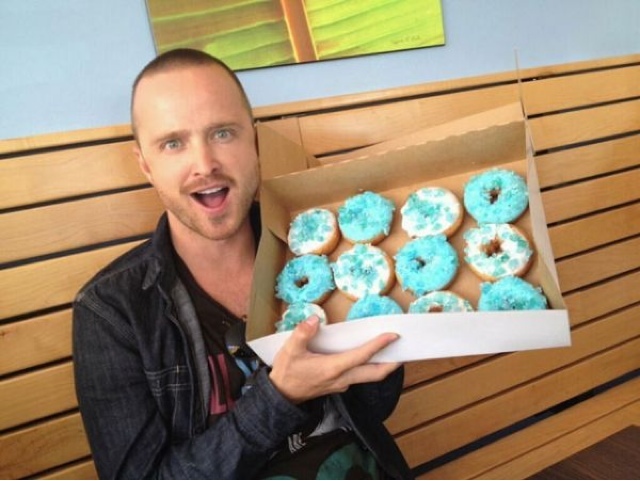 The cast of the show even ordered a box, and Jessie (Aaron Paul) posed with it! How cool is that?! ?